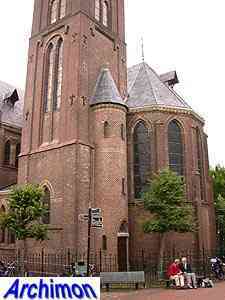 With the Reformation of 1580 Friesland officially became a protestant province. 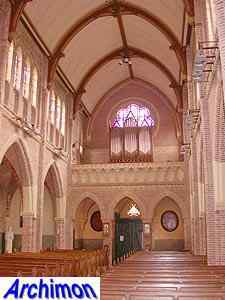 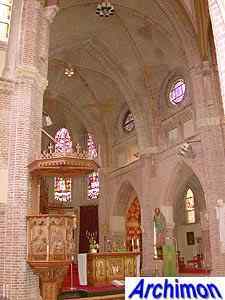 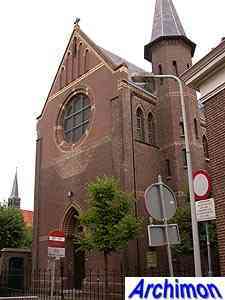 As happened in the rest of the province, the old church of St. Bonifatius in Dokkum was confiscated and used for protestant services since. 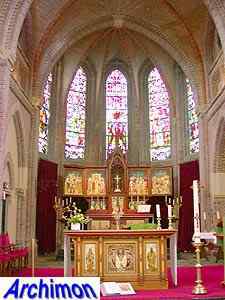 Despite the ban on their religion, a catholic minority managed to maintain itself. 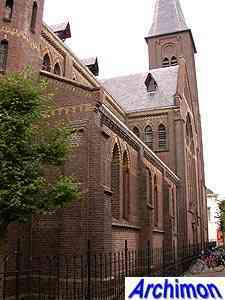 The invasion by the French army in 1794 resulted in more religious freedom, but the old church was not returned. 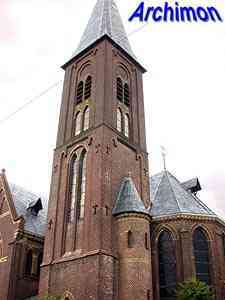 The first plans for a new church weren't made until 1857, resulting in the acquisition of land. 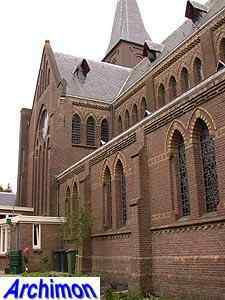 During the next years little happened, until in early 1870 P.J.H. 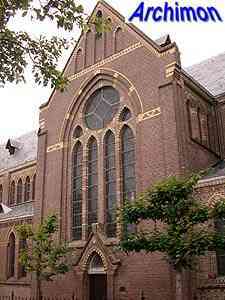 Cuypers was commissioned to design a new church. 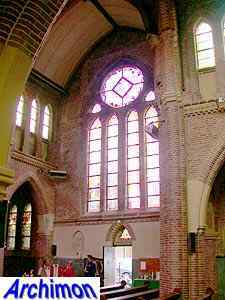 In September 1871 work started, the still unfinished church was consecrated in July 1872. 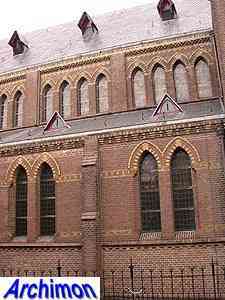 The available plot of land allowed for orientation of the church, meaning that the choir would be on the east side, facing a square. 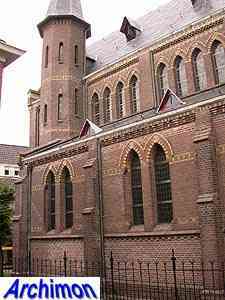 The main tower was built next to the choir, while next to the west facade, which faced a narrow street, a polygonal stair-turret was built. 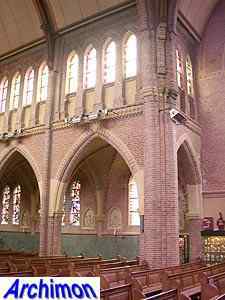 The church itself is a three-aisled cruciform basilica with non-extending transept, inspired by early Gothicism. 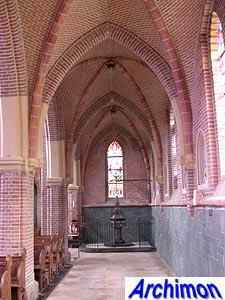 The entire church was built of brick, the interior was not plastered. 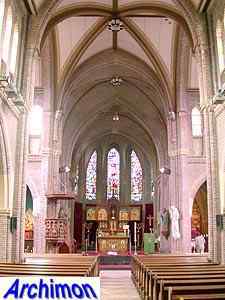 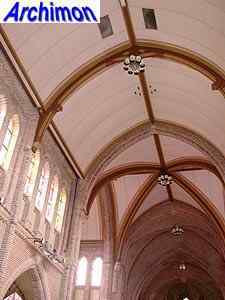 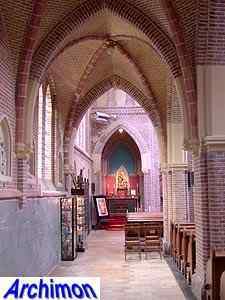 The choir and side-aisles have brick vaults while wooden vaults cover the nave.